As I mentioned in my retrospective of NBA Live on PC, EA’s decision to discontinue the PC version came as a huge disappointment to our community. While we’d never officially been a PC-only community, it was the platform we’d generally focused on. After all, it had once been the definitive version of NBA Live, thanks in no small part to the modding community. With NBA Live 09 only being released for PlayStation 2, PlayStation 3, and Xbox 360, we were suddenly without a new release to play (as well as mod). In the wake of the announcement, we decided to keep an NBA Live game alive with comprehensive updates, an effort known as the NBA Live PC Project. While that project was ultimately successful, and updates for the last few PC releases in the NBA Live series continued for a few years after that, it turned out that a new NBA game would be coming out on PC after all. On October 7th 2008, 2K Sports officially announced that NBA 2K9 would be released on PC. Furthermore, whereas NBA Live’s PC releases had remained ports of the PS2 version right up until NBA Live 08, the PC version of NBA 2K9 would be a port of the PS3/360 version. 2K were stepping up to fill the void left by EA, and given that 2K had overtaken Live as the premiere NBA sim, a lot of gamers were understandably excited. There had been rumours that NBA 2K9 would be coming to PC before the official announcement, but many of us were sceptical. I’ll raise my hand and admit to being one of those people, as it seemed highly unlikely. Visual Concepts had been asked about the possibility of porting the series to PC in the past, and from all accounts, the suggestion had been more or less laughed off. Visual Concepts’ NBA Action ’98 (released as NBA Fastbreak ’98 on PlayStation) did come out on PC, but under the NBA 2K branding the series had always been a console game, dating back to its origins as an exclusive release for the SEGA Dreamcast. We were proven wrong by the official announcement however, and within a couple of weeks, NBA 2K9 was released on PC. Unfortunately, it wasn’t a smooth launch. Even though the game came out on DVD-ROM, it needed to be activated on Steam, which eventually caused problems with second hand copies if the key had already been used. Not only that, but several copies of the game shipped without a key, meaning that it couldn’t be installed. 2K Support dealt with the problem at the time, but it was still a sloppy error that caused a lot of frustration. You’re out of luck if you pick up a keyless copy now, though unused keys can still be activated to this day. Assuming there were no problems with the key, PC gamers were able to hit the virtual hardwood with new game for the 2009 season. Of course for some gamers, the system requirements presented another roadblock. 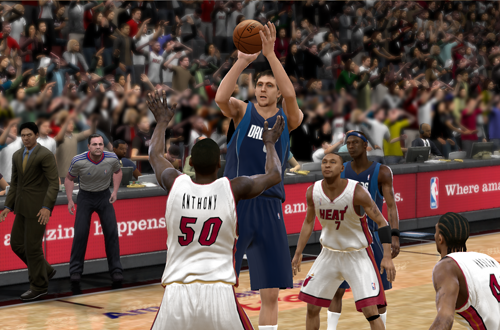 NBA 2K9’s minimum requirements were notably higher than NBA Live 08, which could be run on a Pentium III with 256 MB of RAM and a 64 MB video card. A 2.4 GHz Pentium 4 processor was the least you could get away with for NBA 2K9, and it also wanted 512 MB of RAM, as well as a 128 MB video card. 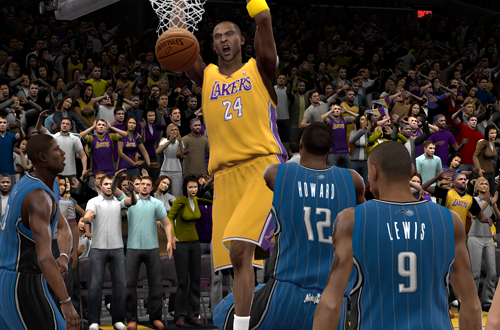 It turned out quite a few people had systems that only met the recommended specs for NBA Live 08 – if that – making NBA 2K9 a rude awakening. Still, we had a PC game for the 2009 season, and whether it was through an upgrade or getting by on lower settings to accommodate old hardware, we played it. Those of us who owned consoles (including myself) may have tried out a couple of previous NBA 2K games, but for basketball gamers whose only platform was PC, it was their first taste of the series. What we all found was a very solid game for the era, but one that required some adjustments. The Isomotion controls were very different to using the right stick for dribbling moves, and in hindsight, were quite clunky. Indeed, it’s one of the main reasons it took me a while to really get into the NBA 2K series. NBA 2K9 doesn’t hold up nearly as well as NBA 2K11, released just two years later, but apart from the controls, the gameplay is quite good. Combined with a revamped Association, Blacktop, and a more comprehensive practice mode than the shootaround in NBA Live, it was a big step up from NBA Live 08 PC. It certainly looked better with higher resolution textures and more lifelike animations, as well as detailed TV-style presentation. Of all the NBA 2K games that have come out on PC it’s definitely the weakest release, but in its day, it was certainly more appealing. Most importantly, it established a precedent for a PC release, reaching an audience that felt abandoned. A PC release also meant the beginning of the NBA 2K modding community, though the hobby understandably began with baby steps. 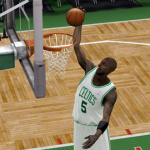 There were brand new file formats to work out, and they weren’t as easy to work with as NBA Live’s assets had been. A lot of the releases and resources for NBA 2K9 have unfortunately been lost, leaving the game’s section in our Downloads database quite bare to say the very least. 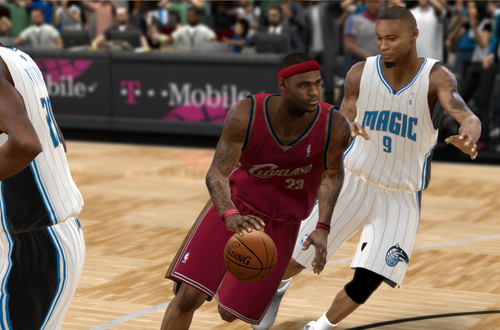 While we’ve been able to track down a few long-lost files for NBA 2K10 and NBA 2K11, we haven’t had any luck doing so with NBA 2K9. It’s also been less popular among retro modders, most likely due to its successors being notably superior games. Although the PC is not the highest priority platform, it has received more support and attention since NBA 2K9, which didn’t include online play. Online functionality and updates would be added in subsequent releases, and with the adoption of a current gen port in NBA 2K15, the PC version basically receives the same content as the Xbox One and PlayStation 4 releases. Notably, the NBA 2K League is even played on PC, albeit using a special build. Although some PC gamers still seem to fear that 2K will pull the plug on the platform – no doubt a hangover from what happened with NBA Live – it seems that there isn’t any reason for concern at this time. After dusting off NBA 2K9 to write this retrospective, I would definitely say that it hasn’t aged as well as its immediate predecessors. With clunky controls and a lack of the extra content that has come to define the series over the past decade, there’s less incentive to revisit it. It’s not as fun to play, and it’s not as easy to mod. However, looking at it through the lens of the era, it was another fine release from 2K. Again, it established the series on the PC, paving the way for the game to continue coming out on the platform despite issues with keys and compatibility. Thanks to NBA 2K9 and its successors, we haven’t missed NBA Live on PC as much as we originally thought.